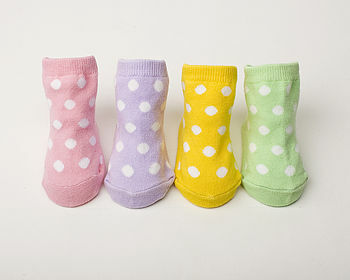 Pastel Polka Dots baby socks in a gift box. These look so cute on baby feet and finish off any outfit. 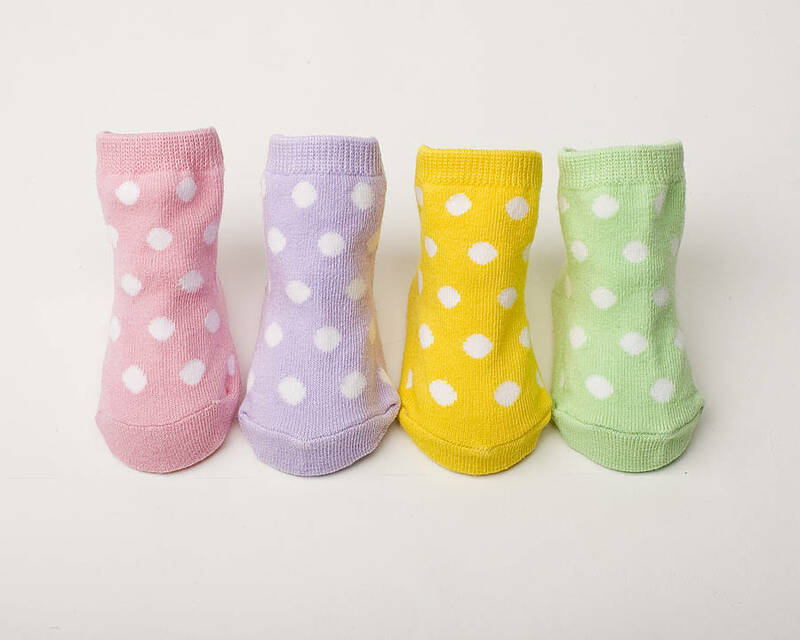 Four pairs of spotty baby socks in four different pastel colours to suit any outfit. 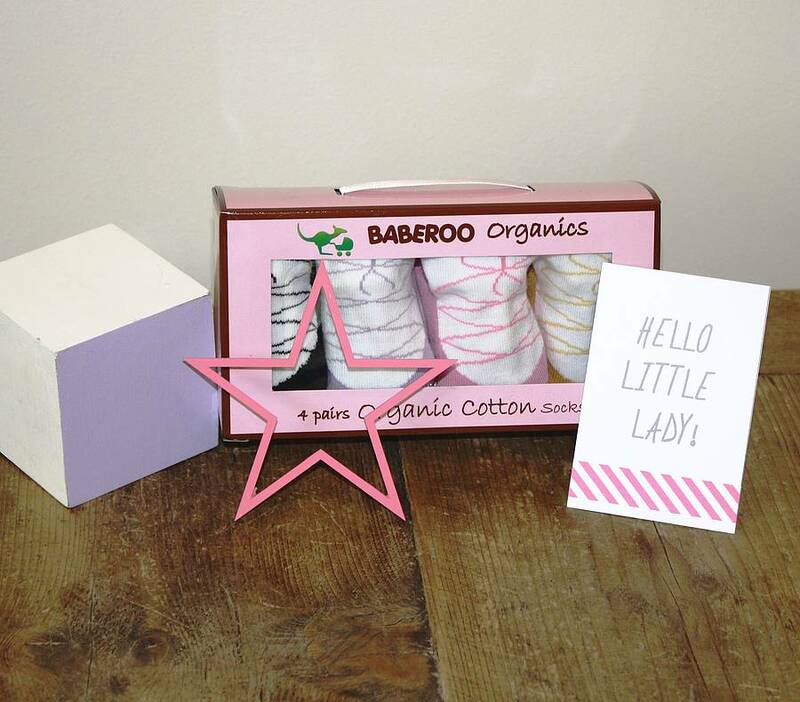 Made from organic cotton. Available in one size only to fit newborns up to 12 months. An ideal newborn baby gift. 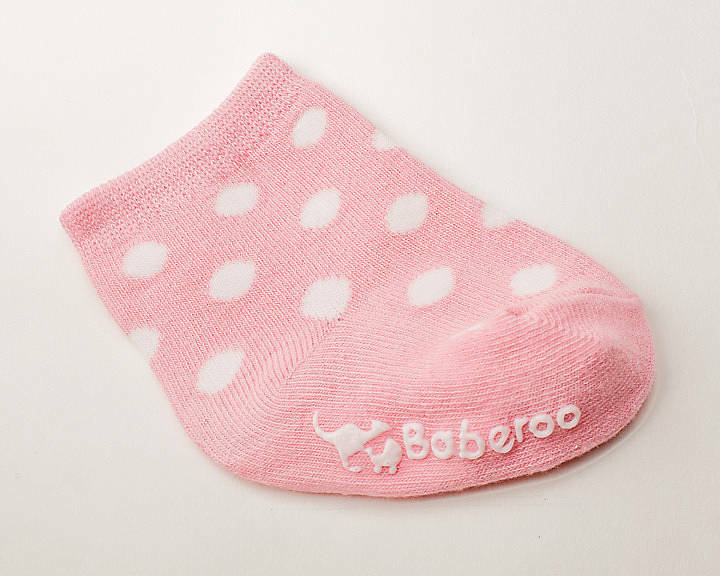 Super soft thick cotton knit ensures a great fit and we are told these socks stay on thanks to a longer length and thick ankle band. Please let us know if this is a new baby gift and we will enclose a card with your message. Machine wash cool and tumble dry low. One size to fit babies up to 12 months.